OSHA’s controversial E-Recordkeeping Rule has been challenged and criticized by stakeholders since its inception, and finally, in January 2019, the Trump Administration unveiled its Final Amended Rule. However, the Amended Rule did not go nearly as far as many expected or hoped. Indeed, the Amended Rule eliminated only the requirement for large establishments to submit 300/301 data, but did nothing to alleviate the data submission burden on smaller employers, and did not address the controversial anti-retaliation provisions (e.g., limits to post-injury drug testing and safety incentive programs) at all. Not to be confused with E-Recordkeeping, OSHA’s Significant Injury and Fatality Reporting Rule has created significant new interactions between employers and OSHA since its update in 2015. Many employers still wrestle with the nuances of when and how to report significant injuries involving hospitalizations, amputations, and fatalities to OSHA. In particular, employers are struggling to determine what constitutes a reportable hospitalization and amputation. In former President Obama’s second term, his Administration rolled-out a major change to OSHA’s Fatality & Significant Injury Reporting Rule. Not to be confused with the new Electronic Recordkeeping Rule (which requires certain employers to submit injury and illness data to OSHA on annual basis), this amended rule required all employers to make prompt phone calls to OSHA when work related fatalities or covered in-patient hospitalizations and amputations occur. The rule has resulted in thousands more reports of incidents to OSHA than before. 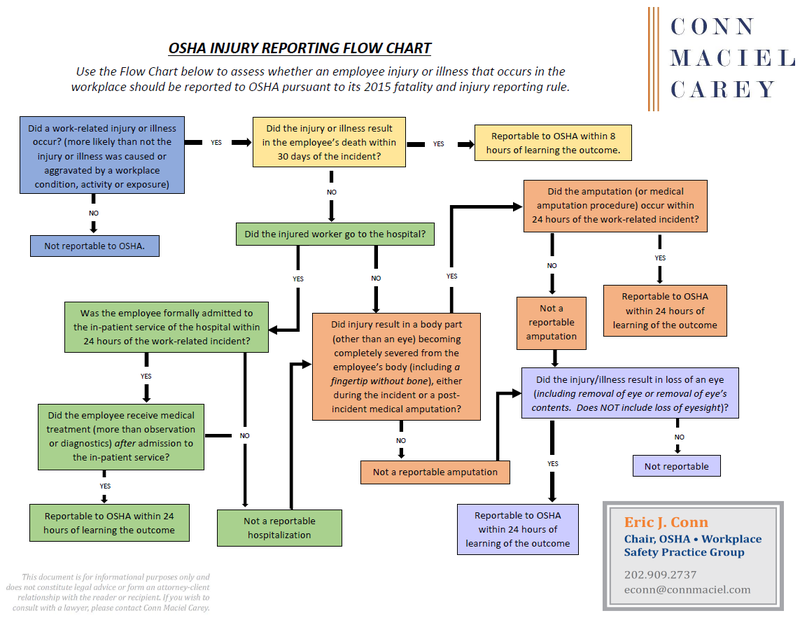 Now, three years into the new reporting scheme, we have learned a lot of lessons about what is being reported to OSHA, what non-mandatory reports are often made, and what OSHA is doing with all the new reported incidents.